Did you inherit real estate that is subject to a reverse mortgage? Consider taking these five steps during a Riverside probate administration. If a loved one’s estate was large, you may need to file a federal estate tax return during the estate’s administration. It is important to do so properly. How do you know you need to file K-1 tax forms? This form is an important part of the administration of some estates if this income exceeds $600 in gross income in a year or in some other situations. What are some of the tax mistakes that fiduciaries make with regard to tax returns of a trust or estate? Here are eight common examples. 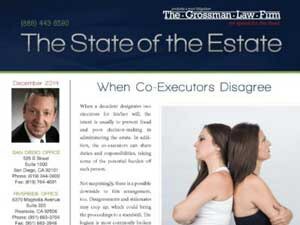 Estate taxes are an important aspect of the administration of an estate in California. 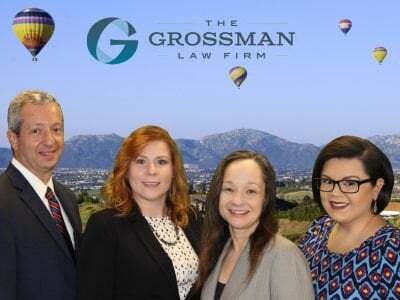 View here for more information from a probate attorney in San Diego. 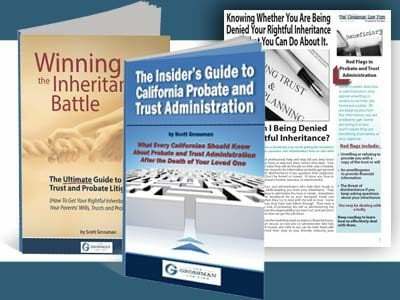 Probate administration attorney Scott Grossman in San Diego describes how to file a final income tax return and order our free book on California probate law. Retirement accounts may be subject to federal income tax liabilities during an estate or trust administration. Beneficiaries must be made aware of this. Successor trustees have important responsibilities as they administer trusts. One such duty is to file the necessary estate and income taxes. Learn more here.